The seven phenomenal places here—fun, delicious, globally minded—are an antidote to restaurant déjà vu. At Mei Mei, siblings Margaret, Irene and Andy Li like to cook with the Chinese and American ingredients of their Boston childhoods. One example: the Double Awesome scallion pancake sandwich stuffed with cheddar. “As kids, we had a great time making scallion pancakes,” says Margaret. “And we ate a lot of grilled cheese.” Today, they cook with all kinds of Asian ingredients, including the panko and rice vinegar they add to kale salad. 506 Park Dr.; meimeiboston.com; 857-250-4959. Chef Bonnie Morales worried that her Russian parents’ food would be too weird for her husband, Israel, “but he loved it,” she says. Now, she’s on a mission to highlight her ancestors’ cooking, serving dishes like chicken, potatoes and porcini with garlicky sour cream. “In Russia, there’s a whole genre of cooking with sour cream,” says Morales. “At Kachka, we use it everywhere. It’s our mother sauce.” 720 SE Grand Ave.; kachkapdx.com; 503-235-0059. Zak Stern was “bored to death” at pharmacy school, he says, so he left to work at farms across America and then in Europe and Israel. He became fixated on the country-style bread he found everywhere he went. When he came home to Miami and realized there was no good bread, he opened a bakery and café. Now he makes more than 1,000 chewy, crusty loaves a day and sells bread-centric options like avocado–goat cheese toasts and chocolate-nut butter. 405 NW 26th St.; zakthebaker.com. “I grew up in San Francisco—I know what bland healthy food tastes like,” says El Rey’s owner Nicholas Morgenstern. In his cozy all-day luncheonette with 15 seats, Morgenstern and chef Gerardo Gonzalez serve dishes that are the opposite of bland: a SoCal—style breakfast pudding with chia seeds; at night, sliced cauliflower salad or smoked sardines on a tostada with peppers and carrot-top dressing. 100 Stanton St.; elreynyc.com; 212-260-3950. The memory of fried foods at Juhu Beach in Mumbai inspires chef Preeti Mistry at her funky, intimate Juhu Beach Club. So does her mother’s traditional Indian cooking, and ingredients like fenugreek from a local farm. “I’ll tell my mother about a dish I’m going to make, and she says, ‘You can’t do that,’ and I say, ‘Watch me.’” 5179 Telegraph Ave.; juhubeachclub.com; 510-652-7350. Training with chef Ana Sortun at Oleana in Cambridge, Massachusetts, led Cassie Piuma to create her own unconventional small plates from the Middle East and Mediterranean. “I appreciate authenticity, but there are plenty of places to get a proper shwarma,” she says. Piuma’s innovations at Sarma include a version of avgolemono, the lemony Greek soup, with a flavorful broth made from asparagus peelings. 249 Pearl St.; sarmarestaurant.com; 617-764-4464. “We’re from the corn-loving Midwest,” says chef Christina Nguyen, who, with her husband, Birk, owns Hola Arepa. 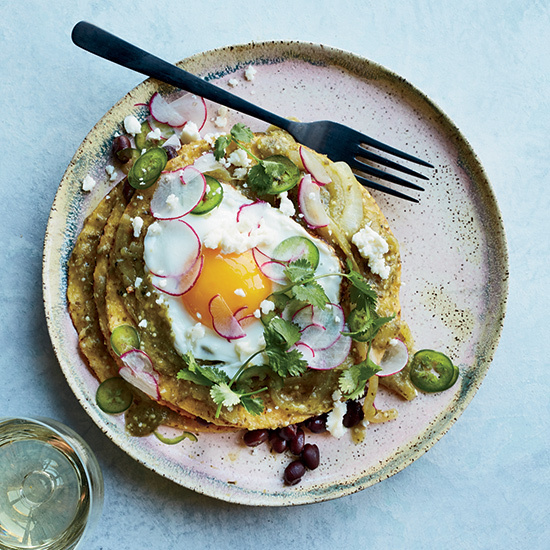 “But people who grew up eating arepas tell us ours are legit.” Nguyen stuffs her Latin American corn cakes with fillings like shredded beef and plantains and reinvents dishes like chilaquiles (hers features a tower of fried tostadas rather than a pile of tortilla chips). 3501 Nicollet Ave.; holaarepa.com; 612-345-5583.